High Star Factor: New US series in Babelsberg? Babelsberg. , Ten episodes have been ordered from industry reports US pay TV channel Epix. Production company Paramount Television. Filming is scheduled to begin later this year. 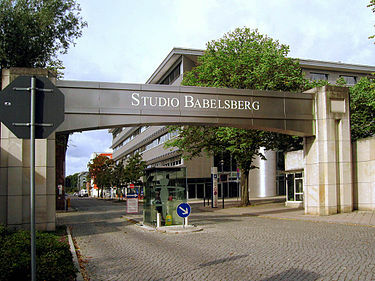 At the Babelsberg film studio tradition one considers – as usual if no contracts have been signed, the first flap has not yet been – covered. From Studio spokesman Eike Wolf is there to “Berlin station” in any event no comments. But where could a Berlin-series turn better than on the original designs? Also benefit the “Homeland” from the experience and expertise of the Babelsberg film makers. For the fifth season in Berlin Settled Berlin and many venues in the area were prominently staged. In the center of the first season of the new series by Michaël R. Roskam is Contact Officer Daniel Meyer, who is drafted into the CIA office in Berlin. Here he is to be found in a secret mission the leak that has the whistleblower Thomas Shaw supplied with information. Side by side with a veteran Daniel learns the rough and discontinuous life of an agent know. Immediately to Daniel recognize dangers arising from a conspiracy, whose traces can be traced back to Washington. The role of the main character Daniel Meyer to take over the British actor Richard Armitage (44, “Hannibal”). Also on board US industry reports that are also Rhys Ifans (48, “Notting Hill”), who plays the agent Hector DeJean. Ifans knows Babelsberg been: 2010 was the Welsh for Roland Emmerich’s Shakespeare Conspiracy “Anonymous” in front of the camera. For another starring Richard Jenkins (68) is under discussion. The Oscar-nominated US star (“The Visitor”) is standard out: From 2001 to 2005 Jenkins played within the undertaker series “Six Feet Under” with. In addition to US colleague Michelle Forbes (50, “Chicago Fire”) participate. The scripts are written by Olen Steinhauer. The television premiere of “Berlin station” is planned for autumn 2016th Epix is ​​a US channel and video-on -Demand provider. This entry was posted in TV Series -2016 - Epix "Berlin Station" and tagged Berlin Station, Epix, Germany, Richard Armitage, Studio Babelsberg. Bookmark the permalink.